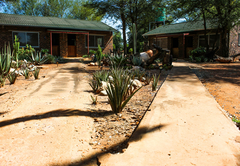 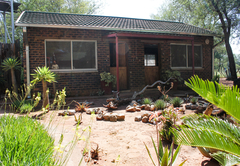 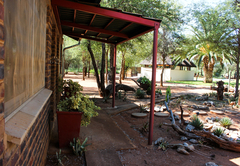 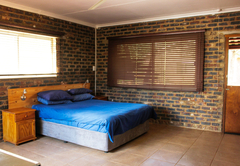 Doornstock Lodge is a property providing self catering in Tolwe for tourists visiting the Waterberg region. 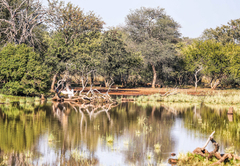 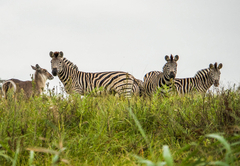 Situated just outside the town of Tolwe, Zingela Nature Reserve is the ideal location for anyone interested in game spotting and bird watching. 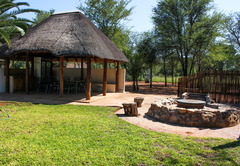 Bushveld serenity and the ultimate relaxation is available in abundance on this 25000ha reserve. 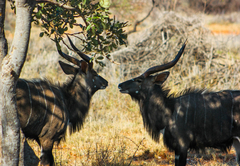 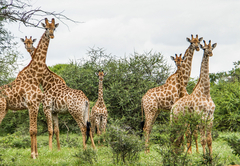 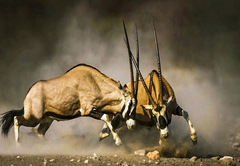 During your stay you can enjoy game walks, game drives and bird spotting. 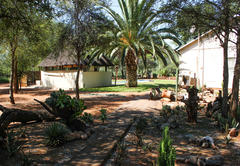 Doornstock Lodge consists of four houses. 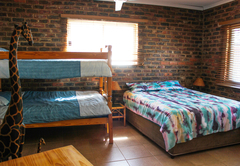 Each house is furnished with a double bed and a single bunk bed. 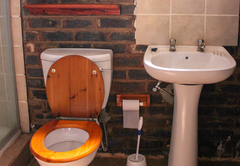 There is an en-suite bathroom as well as an outdoor bathroom. 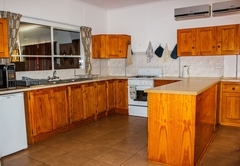 The house has a fully equipped kitchen and a sitting area. 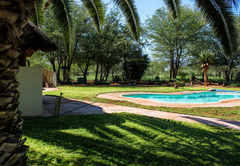 Outside there is a garden and braai area as well as a pool all shared with the other houses in the reserve. 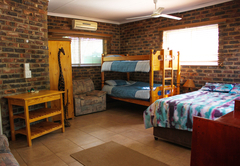 Doornstock Lodge features a double bed, a single bunk bed and en-suite bathroom. 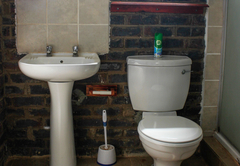 There is an indoor and outdoor bathroom. 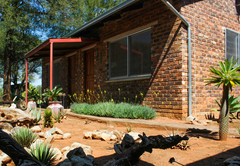 Response timeDoornstock Lodge typically responds to requests in 5-10 minutes.